For the 1986 MR2 24 hours of lemons car we prepped, I did a lot of research on weak points of the 4AGE engine in the car. I decided that one of the biggest problems was oiling, both slosh in the oil pan as well as pooling in the head. Oil temperature is also always an issue. 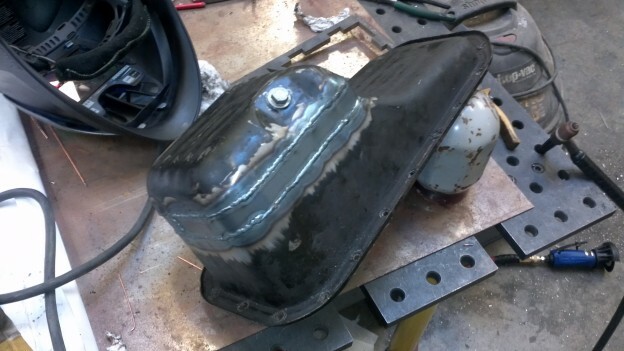 I decided to whip up a custom deep oil pan with internal swinging baffles. This entry was posted in 24 Hours of Lemons and tagged 24 Hours of Lemons, Cars on July 10, 2013 by James Peverill.